Do you have an addiction that is out of control? Are the pressures of carrying out daily responsibilities seemingly impossible? Does time seem to be an enemy that does nothing but steal any hope for a balanced life? Do you need time to put the broken pieces of your life back together? 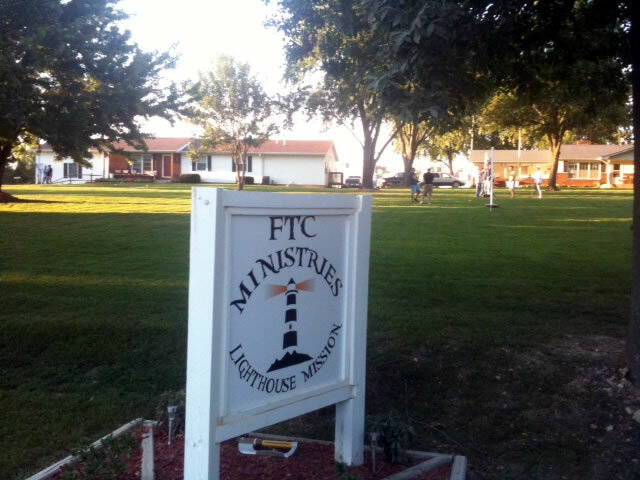 The Lighthouse Mission and Transitional Housing program seeks to help men find balance in their lives by creating a safe environment, providing practical resources, and limiting negative distractions that keep men from building a foundation and growing relationship with God through Jesus Christ. The Lighthouse believes that the most important step men take in making some positive changes in their lives is to acknowledge their inability to overcome destructive habits on their own. We help men see the value of being open and truthful about their struggles, pains and weaknesses, as well as their gifts and talents. We help men understand that taking full responsibility for past choices will help in making better future decisions. Change from a lifetime of bad habits and negative selfish thinking is often slow. The Lighthouse staff and volunteers work one day at a time to be a beacon of hope for men who are ready for change. The mission seeks to minister to the whole person and teaches men that making God real in every situation is not a religious act but a natural outflow of a living relationship with their creator.